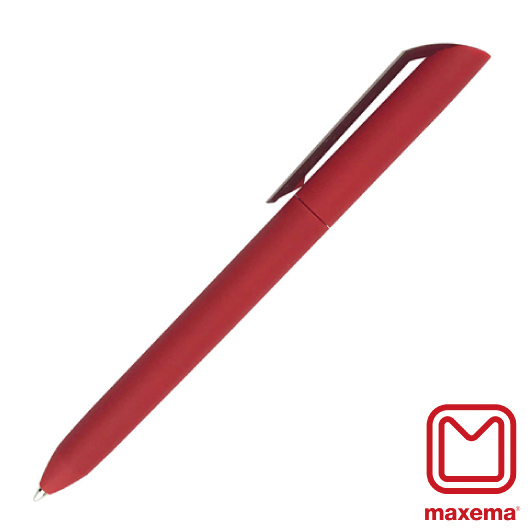 A stunning plastic pen with a rubberised finish with large ink refill. 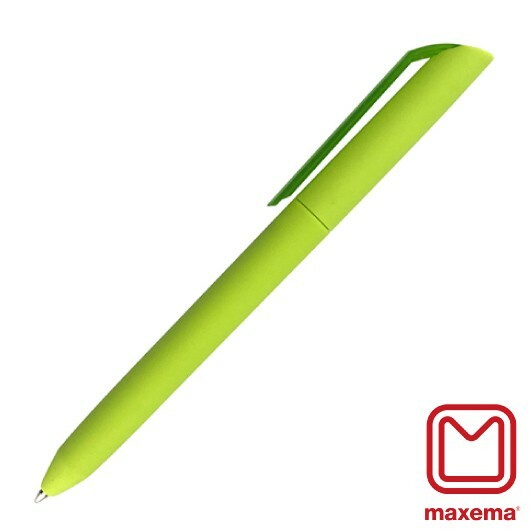 One of Maxema's latest creations, these pens feature the much loved Flow style with a rubberised finish on the barrel providing additional grip and comfort. 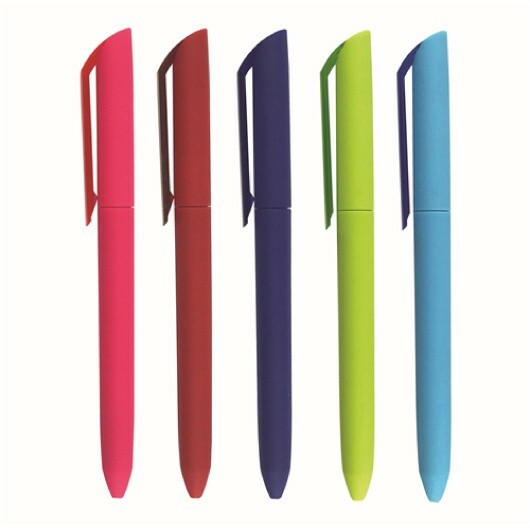 Paired with a slender aerodynamic clip with transparent glossy colour the pens are completed nicely. They come with a large 2500m black ink refill and can be done with blue ink (indent). Additional options may also be available indent - ask us for mix-n-match options.